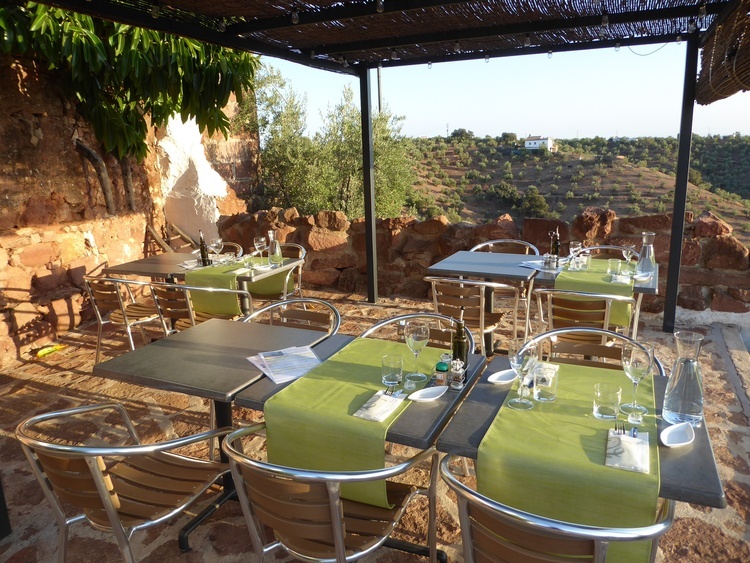 Our Finca Olivetum Colina is located on a lovely hill – surrounded by our own olive trees – with a fantastic view of the historic town Montoro which is located in the heart of Andalusia. 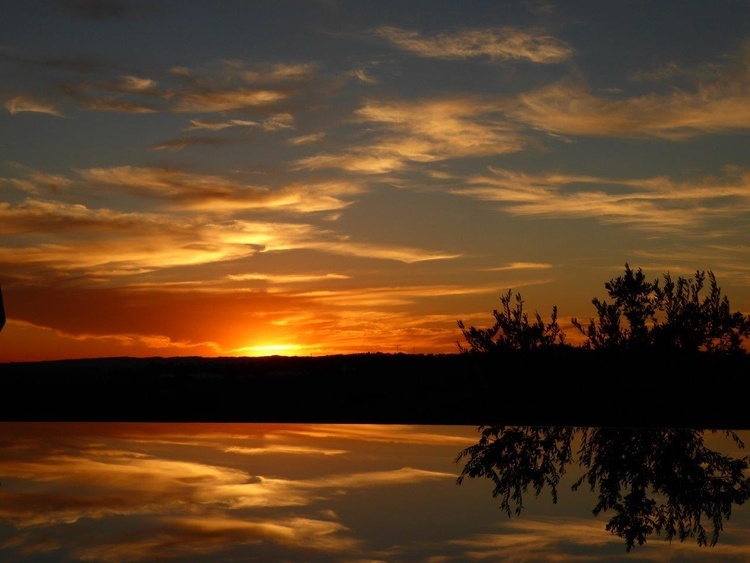 This extraordinary spot is the perfect place to relax and use as a base for all your sightseeing and trips. 14600, Europe, Spain, Andalusia, Córdoba ,Montoro. Finca Olivteum Colina is situated up above Montoro and is approximately 4 km from its town center and 6 km from the highway Madrid - Sevilla. • Spacious swimming pool 6 x 12 m with a maximum depth of 1.80 m. Enjoy the pure water which is treated biologically. 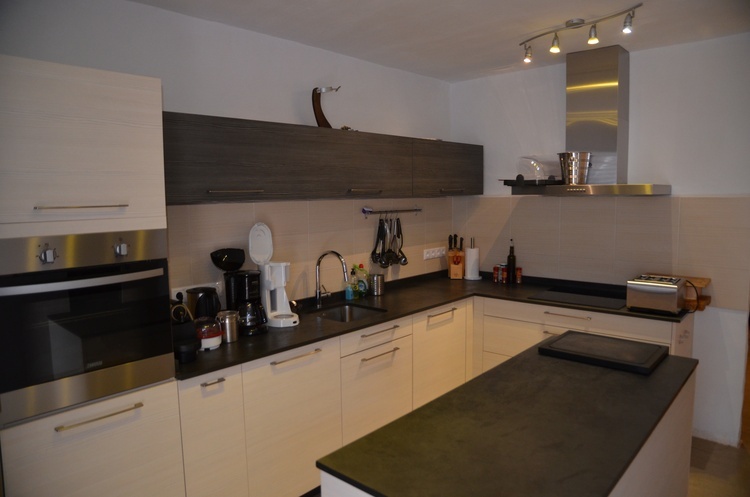 A large dining room with a music sonos home system as well as a new and modern kitchen with large fridge and freecer capabilities will be at your disposition as well as separate a BBQ-place. The entire Cortijo (Building Complex) looks like a little village and is completely fenced. and much more. Just call us for further details. We are offering one hour support for all kind of questions a day. Furthermore we'll take care of the swimming pool and the infrastructure (water supply etc. 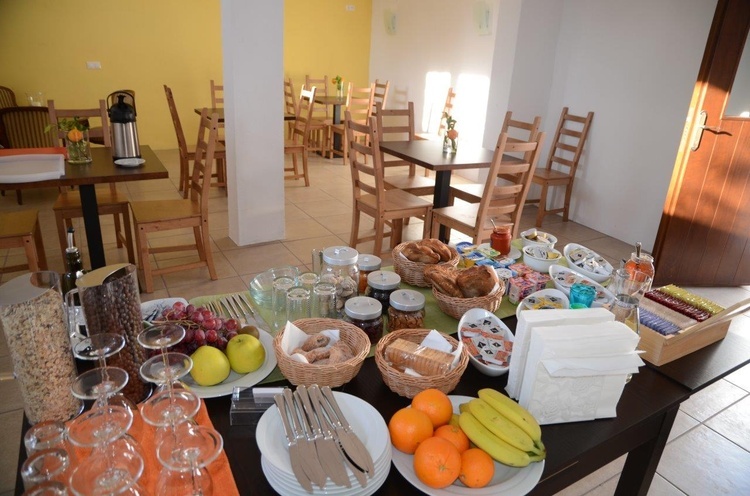 ), to make sure that you don't have any troubles during your stay. 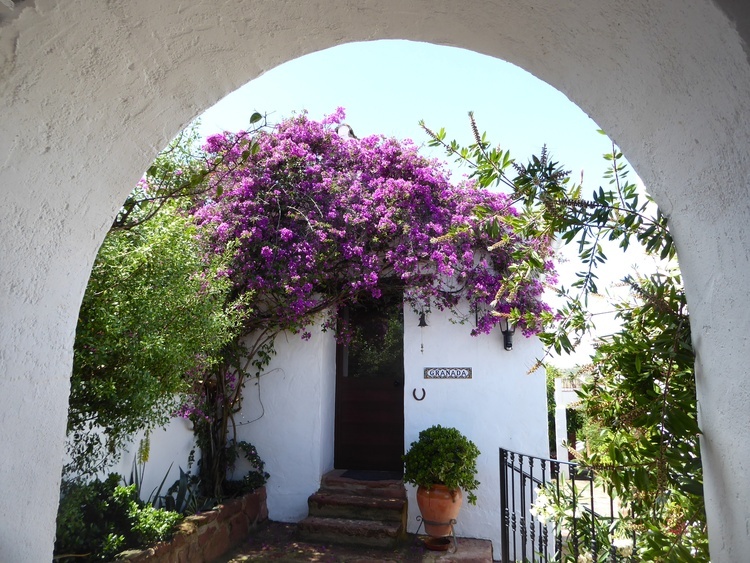 Montoro is located in the heart of Andalusia, about 40 km west of the well-known historical site, Cordoba. 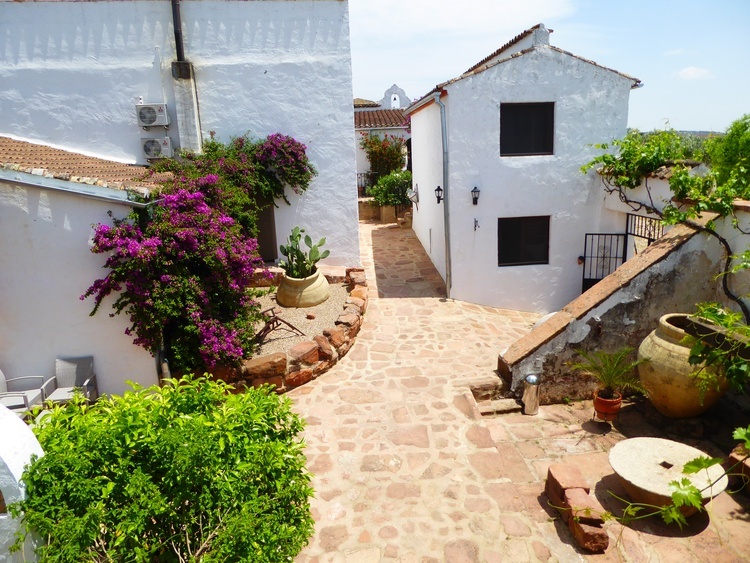 Montoro is an elevated town, built on 5 small hills along the banks of the Guadalquivir river and is a quintessential Andalusian ‘pueblo blanco’ (white village) with its narrow steep streets and brightly whitewashed houses. Montoro has many interesting cultural attractions: the 16th century bridge ‘Puente de las Donadas’ which spans the Guadalquivir river , an enchanting town square – Plaza de Espana with its historic town hall ( Ayutamiento) and the churches San Bartolomé, Santa Maria and San Sebastian. 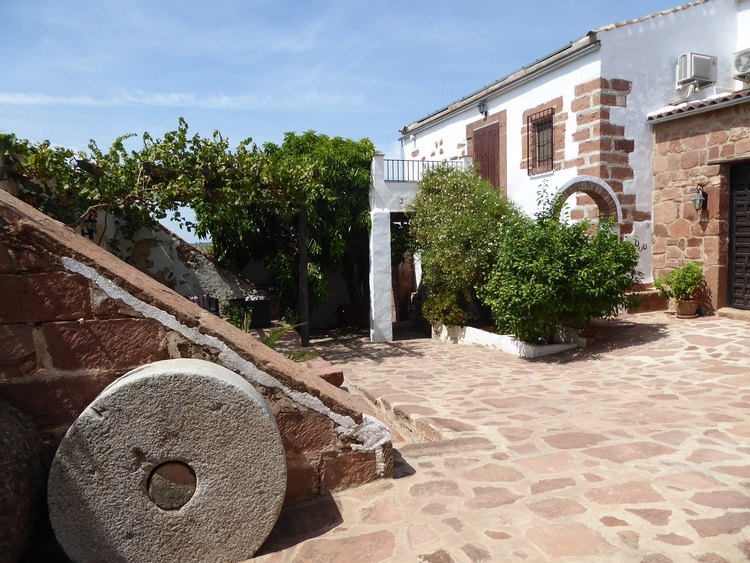 Also well worth a visit are Montoro’s various museums such as: the olive oil museum, the archeological museum and the museum of the famous artist Antonoio Rudriquez Luna. Along with its many cultural attractions, the picturesque town of Montoro has excellent facilities where you can stock up on holiday provisions and do a bit of shopping. Take time to explore the wonderful bars and restaurants, enjoy a drink with some typical Spanish tapas and soak up the relaxed Mediterranean atmosphere. 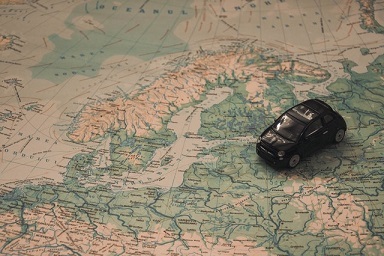 Direct access to the motorway to Madrid, Cordoba, Sevilla and Malaga make Montoro an ideal destination. The Mezquita in Cordoba and the Alhambra in Granada are both UNESCO world heritage sites. Enjoy a romantic walk through the old town of Cordoba with its unique alleyways and world famous patios. These amazingly maintained patios with their vast array of colorful flowers and the historically important Mezquita are just two of the fascinating attractions this town has to offer. 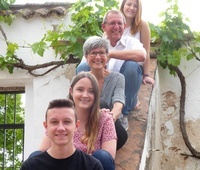 Wir sind eine Schweizer Familie, welche hier in Andalusien ein Gästehaus www.olivetum-colina.es betreibt und in den Sommermonaten die Finca als Finca-Ferienhaus vermieten. Dieses Angebot schreiben wir erstmals für Juli und August 2019 aus.